I was given the opportunity to read this book as an ARC through edelweiss but this hasn’t affected my views of the book. I’m going to start off saying I didn’t really enjoy this book and this will be a bit of a salty review so if you’re not looking to have your opinion of this book tarnished then you should probably leave. There may be minor spoilers. 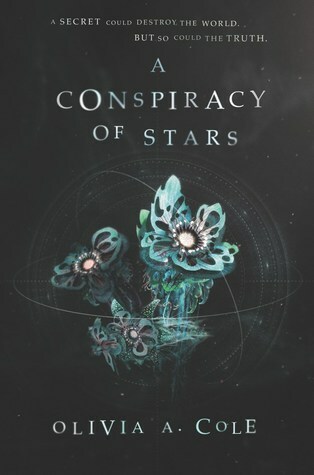 A Conspiracy of Stars is the start of a young adult sci-fi duology that’s coming out next year. 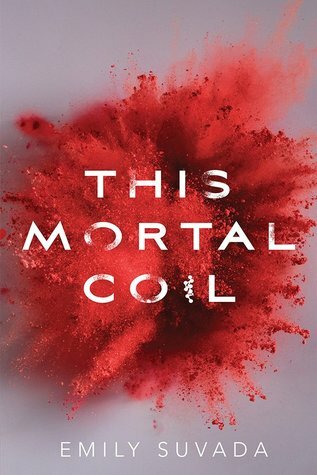 If you’re about to click off this review because sci-fi isn’t really your thing then hold your horses because this novel reads far more like a fantasy or dystopian, so that’s what I’m going to be treating it as. But now for some positivity, what was unique about this book? There was some racial diversity… I think… it was never explicitly stated…. This is where I had the most problems and is entirely why I can’t accept this book as sci-fi. The world building made no sense from a biology perspective. As long as I treat this like a fantasy where I don’t really question the world building it’s fine, but in my mind sci-fi is meant to make sense within our understanding of science and this book really didn’t. There were so many creatures named and never described. I’m sorry but I am not going to put that much brain power into reading this book. Maybe include some pictures? A sketch here and there? but no, we’re just left with many names and no distinguishing features. I am never going to remember them all because I am given one or two details and then we move on and they’re never mentioned again. (which is kind of a plus because you lose no impact of the story from not differentiating any of the named creatures in your head). They have spots on their faces that move to convey emotions… How do they move? Is it a case of the pigmentation of the different parts of skin changing or is a section of cells physically travelling through the rest of the cells?? The later was implied but that’s not a thing that happens???? They have no iris or pupil in their eyes, only blackness….??? So like an insect eye? They have giant ears that can be mistaken for hair, but they don’t use them to hear. They remind me of the ears on a bilby (australian animal, think a rabbit crossed with a guinea pig) which are used for temperature regulation. I guess this one is plausible but what a weird thing to add in for basically no reason. Apart from monotremes (the platypus and echidna) mammals don’t lay eggs. And I get that this is another planet, but considering the whole nursing live young is a key characteristic of what a mammal is and is linked to both their environment and their habits, if the animals the scientists found laid eggs then maybe they should choose to classify them as something different? Or better yet, start a whole new classification system for the new planet????? In this world, Carnivores only eat other carnivores. I have many problems with this, namely how? That’s not how food chains and trophic levels work?? Also, why?? That would be so much more effort for the creature because the other carnivore can fight back. There are a bunch of herbivores over there that can’t so why not eat them? Plus the herbivores have no population control? How come there aren’t thousands on them consuming everything?? Our characters watch an experiment on an animal, and from the build up you’d expect some sort of surgery or major thing. They sedate an animal and move it to a surgery room in order to take some of it’s fur???? That’s only going to push the animal’s stress levels way up. All the things they do to the animal are non invasive scans so why is it such a big deal?? Additionally, there are observation rooms for every single experiment room. This implies that it is common practice for scientists to sit and watch each other’s experiments. In this specific experiment where they take a tiny bit of fur from a sedated animal and look at it under a microscope the room is apparently full of scientists watching. This population isn’t massive, there are 1000 people tops. And considering there are four other research facilities, the most people who can be in this facility (presuming the split is roughly equal) is 200. And that’s not including the non scientists or kids. So you’re telling me, from a group less than two hundred people, there are rooms full of people watching this one unimportant experiment???? Again all I am left with is why??? Don’t you have your own research to be doing?? Isn’t it more efficient to read the lab report later?? Plus what if that experiment didn’t show anything unusual? You would have wasted ages sitting there. I don’t have much to say on the characters, none of them were that memorable. in case you can’t tell I found the romance very underdeveloped. It was just a lot of our main character being like “I never noticed Rondo before, my skin tingled” and then him helping her discover things. The characters are appalled by the thought of hitting someone with tranquilizer gun, even when he was attacking them. That was just the last straw for me. They need to get it together. The chapters were quite short and ended abruptly. Until the last four or so chapters there were massive time gaps between most of the chapters. This made the whole book feel fragmented and like it dragged on forever… Basically the book was very underwritten. A lot of it was focused on the character’s thoughts and what was going on it her head which meant there was long passages of description and nothing really happening. I feel like there could be a lot more detail. Every chapter ended with some dramatic sentence of dialogue, like some secret being revealed or some important decision being made, but then the next chapter would be hours later. I want to know how people react to the secret. I want to know the details. Also, there were at least three dream scenes. That is too many dream scenes, especially when none of them make any contribution towards the plot. The writing wasn’t the best. It was quite flowery at times, with lots of metaphors that left me rolling my eyes (please change it up a bit). The inciting incident is more like backstory, the main book should have started at a thing that happens at chapter 18. (this is 2/3 of the way through the book). But on the plus side, once we reach that scene that I think should have been the beginning of the book the writing picks up and everything moves a lot faster. If you enjoyed any of the books below maybe consider checking out A Conspiracy of Stars. 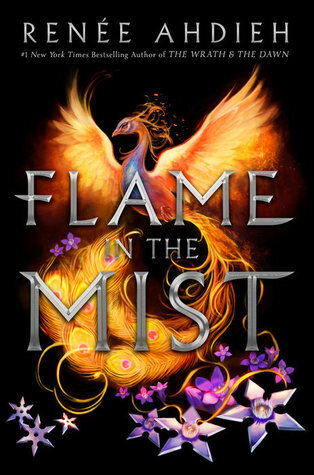 I couldn’t get into this book, but if you don’t read a lot of YA fantasy or you like slow moving plots then give it a try. Have you heard of this book? What 2018 releases are you excited for? The cover is gorgeous, and there will probably be more talk after it’s released in January so hopefully some people enjoy it more than I did. 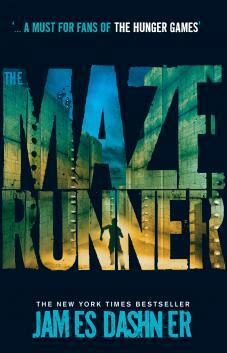 I just found that it was a very typical book that didn’t stand out from all the other ya books I’d read. I’ve probably just read a few too many ya fantasies to enjoy it.